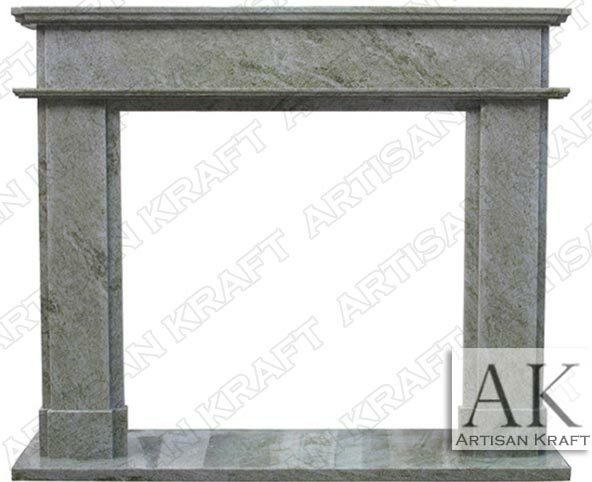 This is Artisan Kraft Contemporary Fireplace Mantel carved from green marble. It is a simple modern design. Flat marble pieces stacked to create one step. We offer this in several variations. A white marble option is also in stock. We can make this from cast stone and limestone as well as other natural stones. To view more of our modern fireplace mantels click on this link.